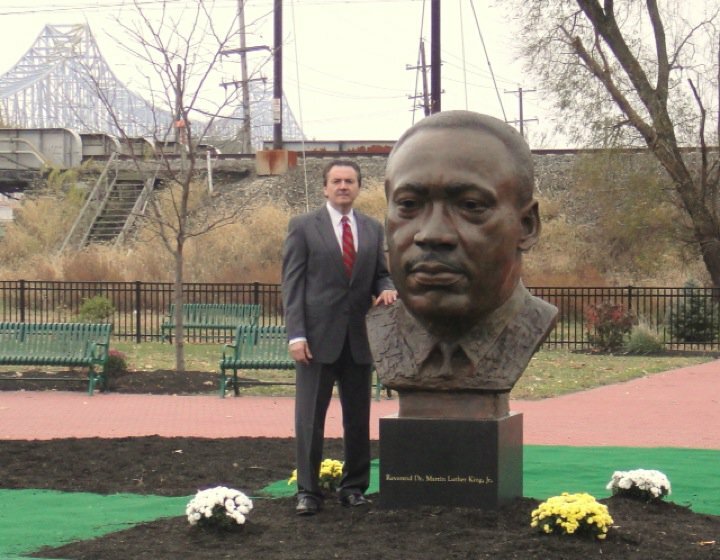 Monumental portrait sculpture of Reverend Dr. Martin Luther King, Jr., installed in MLK Memorial Park in Chester, Pennsylvania, is a reminder of King's message and teachings. 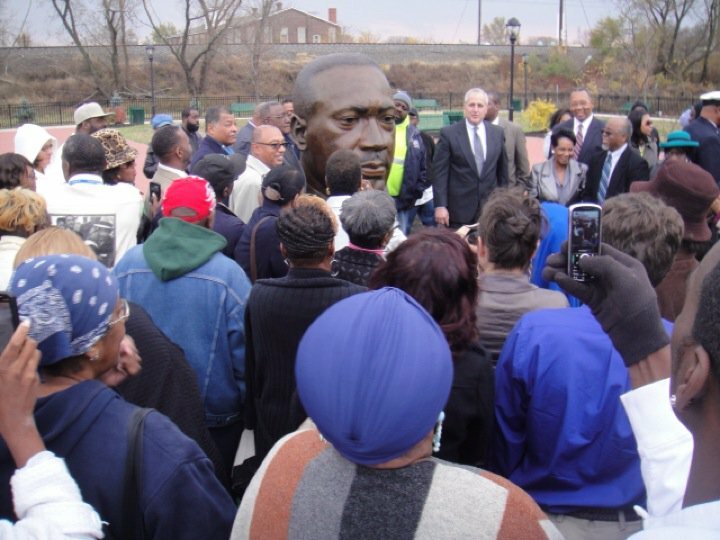 At the unveiling ceremony State Rep. Thaddeus Kirkland, said the community must not simply sing the anthem "We Shall Overcome," but live it. "You overcome violence with peace. You overcome hatred with love and you overcome ignorance with education. Teach them." 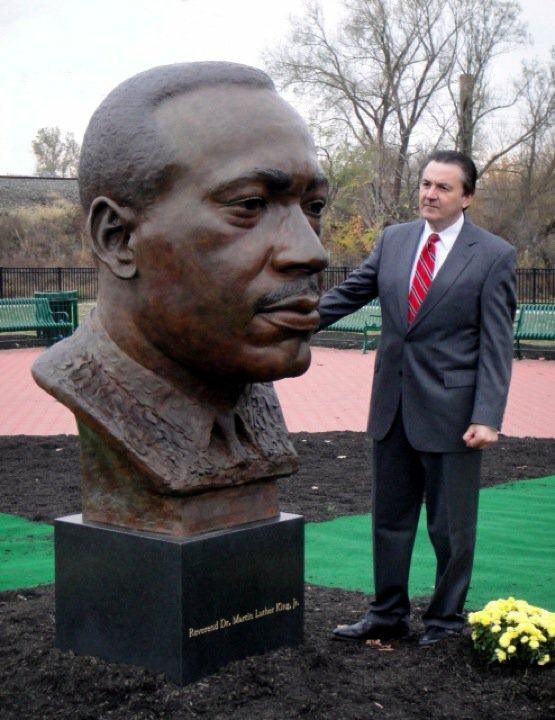 Sculpted by Zenos Frudakis. 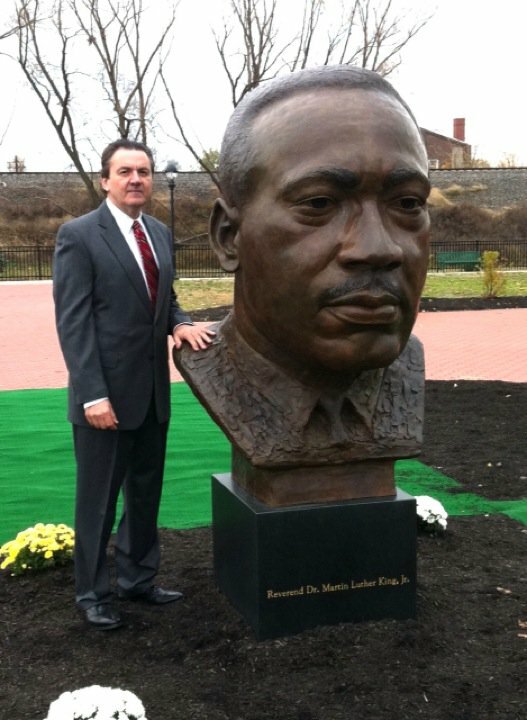 "I've seen dozens upon dozens of pictures of Dr. King. I've seen statues of him. This, bar none, is the best in all the continental United States. 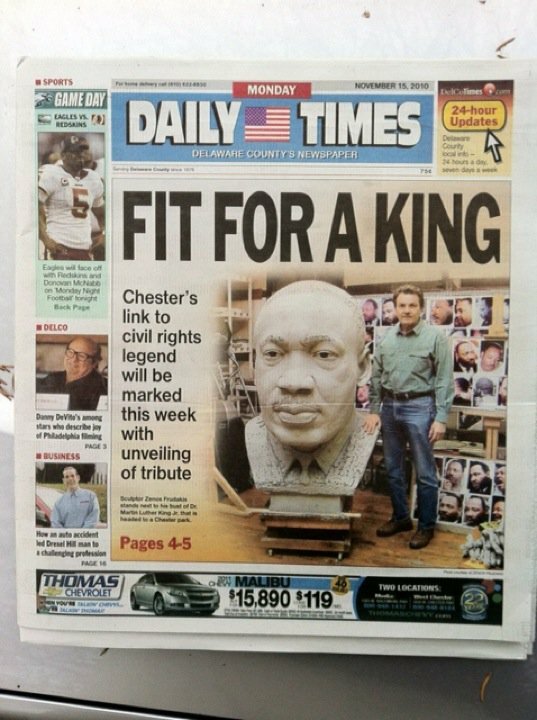 I told Zenos (Frudakis), the sculptor, in the African-American community we say, 'He sticks his foot in it.' That is exactly what he did. He put both feet in this sculpture." - Mayor Wendell N. Butler Jr.